AMC Renews Better Call Saul, Fear the Walking Dead, and More! AMC has announced they’ve officially renewed a slate of popular series including Better Call Saul and Fear The Walking Dead for their fifth seasons and McMafia for its second season. 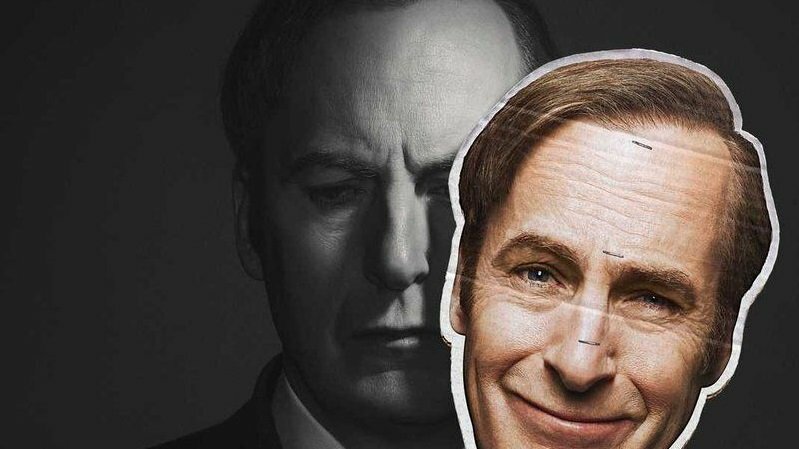 Better Call Saul’s pick-up comes just ahead of its highly-anticipated season four premiere on Monday, August 6th at 9:00 p.m. ET/PT. Season three of the critically acclaimed series ranked as the #5 cable drama among adults 25-54. Executive produced by Peter Gould, Vince Gilligan, Mark Johnson, Melissa Bernstein, Thomas Schnauz and Gennifer Hutchison, Better Call Saul. recently garnered a 2018 Peabody Award, and, over three seasons, has earned 23 Emmy(R) Award nominations, three Golden Globe(R) Award nominations, two Writers Guild Awards, three Critics’ Choice Awards, a Television Critics Association Award and two AFI Awards for “TV Programs of the Year,” among many other Guild nominations. A Sony Pictures Television and AMC Studios co-production and created by Gilligan and Gould, the series stars Bob Odenkirk, Jonathan Banks, Rhea Seehorn, Patrick Fabian, Michael Mando and Giancarlo Esposito. Fear the Walking Dead is being renewed ahead of the premiere of the second half of season four. The series is the #3 cable drama to date among adults 25-54 and 18-49 and has shown strong double-digit ratings growth among adults 25-54 in the first half of its fourth season compared to the second half of season three. Fear the Walking Dead is executive produced by Scott M. Gimple, showrunners Andrew Chambliss and Ian Goldberg, as well as Robert Kirkman, David Alpert, Gale Anne Hurd and Greg Nicotero, and produced by AMC Studios. The series stars Lennie James, Alycia Debnam-Carey, Colman Domingo, Danay Garcia, Garret Dillahunt, Maggie Grace and Jenna Elfman. A second season of McMafia is being ordered. The global organized crime thriller that continues to echo real-world headlines will air on AMC, AMC Premiere and streaming service Sundance Now. The first season of the series is currently available on AMC Premiere, an upgrade option for Xfinity and YouTube TV customers. McMafia was created by Hossein Amini and James Watkins and inspired by Misha Glenny’s best-selling book of the same name about the “franchizing” of the mafia as it spread globally. McMafia is co-produced by the BBC, AMC and Cuba Pictures, in association with Twickenham Studios, and distributed internationally by BBC Worldwide. AMC recently announced that it has also renewed anthology series The Terror for season two. The next iteration of The Terror will be set during World War II and center on an uncanny specter that menaces a Japanese-American community from its home in Southern California to the internment camps to the war in the Pacific. Season two of The Terror is co-created and executive produced by Alexander Woo, who also serves as showrunner, and Max Borenstein, from an idea by Borenstein. The series is an AMC Studios production produced by Scott Free, Emjag Productions and Entertainment 360. The Terror is also executive produced by Ridley Scott, Dan Simmons, David W. Zucker, Alexandra Milchan, Scott Lambert and Guymon Casady. In addition to The Terror, AMC has also recently greenlit a new series, NOS4A2, based on the novel of the same name. Both The Terror and NOS4A2 are slated to go into production in the coming months.